Newsletter Editor As Deputy Editor of the CRY Update it is my responsibility to put together this newsletter, and ambition that you find all the CRY news, events and fundraising in these pages to be of interest. I always endeavour to ensure the information printed in this newsletter is accurate, but please do not hesitate to get in touch with me if you notice something amiss. CRY receives an incredible amount of support and I know occasionally an error will slip through, however any fundraising corrections will be clearly demarcated at the beginning of the subsequent issue’s fundraising section. I would appreciate hearing from you at tom@c-r-y.org.uk or on 01737 363222 if you have any feedback or comments regarding previous issues. Thank you for your help. Unit 1140B The Axis Centre Cleeve Road Leatherhead KT22 7RD No part of this publication may be reproduced, stored in a retrieval system or transmitted in any form or by any means; electronic, mechanical, photocopying, recording or otherwise, without prior permission of the Editor. The Editor welcomes letters but reserve the right to edit when necessary and to withhold publication. Any opinion or statement by the author of any article or letter published does not necessarily represent the opinion of Cardiac Risk in the Young (CRY). Articles pertaining to health-related topics are for information only. Readers should obtain advice from their own practitioner before attempting to diagnose or administer any medication. Mention of any products or procedure should not be considered an endorsement for said product or procedure. For more details regarding the events shown on the cover, please turn to the corresponding page references below. Images are listed clockwise from top left: 1. The Why Not Run event held in memory of Ben Daniels. Page 36. 2. ‘The Long & Short of It’ team, winners of the Richard Waight Memorial Golf Day held in memory of Richard. Page 62. 3. A CRY cyclist from the Prudential RideLondon-Surrey event. Page 24. 4. Walkers at Potters Fields Park for this year’s CRY Heart of London Bridges Walk. Page 22. 5. CRY Patron Vincent Regan with Richard and Donna Fell at the CRY Heart of London Bridges Walk. Page 22. Submission guidelines: We include activities in the “Our Fundraisers” section that raise £100 or more. Entries appear in the “Our Fundraisers” section according to when CRY sends official receipt of monies raised. If you can supply a writeup or photos for any fundraising activities you have taken part in, please email tom@c-r-y.org.uk. 6. A 24-hour event held at the John Belfield salon in memory of Jordan Burndred. Page 32. 7. Runners completing the Manchester 10K in memory of Emily Rose Dunn. Page 37. 8. The Cardiff University Rowing Club on a charity cycle in memory of Jennifer Bucknell. Page 31. 9. A coast to coast challenge in memory of James Campbell. Page 33. 10. A cycling team at the Prudential RideLondon-Surrey 46 and 100. Page 25. 11. Supporters at Beth’s Hoe Down Showdown Charity Day held in memory of Bethany Mycroft. Page 51. 12. Andrew Quew completing a bungee jump in memory of Gemma Quew. Page 55. 13. Supporters at the 20th annual Howard Jennings Memorial Golf Tournament. Page 43.
local shopping centre in Brighton. I was also co-author of a myheart Booklet, another CRY publication. By regularly attending myheart meetings I help support people coming to terms with their own heart conditions. One of my main goals is to get CRY publications out to as many families as possible, to make sure they have the support they need. A young person can feel so alone after being diagnosed, and a family should never suffer the loss of someone to an undiagnosed heart condition. ECG machine is a vital piece of equipment within our nationwide screening programme and any new additions and upgrades to our machines mean we can be assured of providing the most accurate and up-to-date testing for the thousands of young people who come to us to be screened every year. Here are some of CRY’s media highlights from May to August, featuring radio appearances, interviews, key events and new initiatives from CRY. News from the Chief Executive vigorously can increase the risk of cardiac issues. However, exercise can simply highlight an already underlying problem rather than being the direct cause. Keeping fit and active is important, and CRY Consultant Cardiologist Professor Sanjay Sharma addressed just that in a talk on the final day. “You learn to live with it,” Richard Fell, Josh’s dad, said. “It’s six years on this June. You get up in the morning, you try to be normal. You can be normal, but he’s never away from you. Josh is always in your heart.” Because of the efforts of Josh’s parents in his name, 1,200 young people have been screened and £150,000 has been raised for CRY. Josh will never be forgotten. Seeing the influence of CRY research at such a major event is always incredibly encouraging. Professor Sharma has become a world renowned leader in cardiology and multiple CRY Research Fellows presenting their findings only furthers the reach of our message. For more on the BCS Conference, turn to page 21. Professor Sanjay Sharma speaks with More or Less June 12 To gauge how many football players have died due to cardiac arrest over the last 10 years, BBC’s More or Less did a little Professor Sanjay Sharma homework. They think that 45 of the 64 players from recognised teams around the world who died in this span (in training or during a match) died of a cardiac arrest, whilst 20 of those 45 were from countries in Africa. This is particularly striking not just because of the high percentage, but because players from African countries only make up around 17% of the world’s recognised footballers. The statistics and records used for this research were by no means perfect, as the hosts made very clear, what with possibilities of some deaths not being reported, questions over the accuracy of where players are from and some of the non-official records they had to work with. However, even when taken with a pinch of salt, there seems to be an issue. Professor Sharma provided some expertise, saying that “data arising from the United States certainly shows that sudden cardiac arrest amongst black basketball players for sure is around threefold more common than in white counterparts. There is data from the National Collegiate Association of Athletics in the U.S. that shows that the overall risk of sudden cardiac death during sport is around 1 in 48,000. But when someone actually examines this more closely that risk is considerably higher in black athletes and it’s 1 in 18,000 in black males. A lot of work still needs to be done to provide more certainty as to why black athletes are more at risk. It’s an important concern to take note of as we aim to raise awareness of sudden cardiac death. The national myheart meeting was held at Friends House, Euston, with 13 young people (aged 14 to 35) registered to attend. This was the first myheart meeting for 2 new members. CRY myheart cardiologist, Dr Michael Papadakis, offered the opportunity for those attending to informally discuss any medical queries. CRY Heart of London Bridges Walk July 9 Thank you to each of the 1,423 walkers we had at this year’s CRY Heart of London Bridges Walk. In addition to the £650,000 that CRY has raised over the history of this event, it’s always a special day from an emotional standpoint. Families who have been affected by a cardiac condition close to home or a young sudden cardiac death, can meet one another, providing comfort in solidarity as many around the UK have been impacted and are working together with CRY to raise awareness. I had the privilege of speaking just before the walk began, and looking out on the wave of people gathered together for one amazing cause was a touching experience as always. The iconic backdrop of London Bridge made it that much better, as did the presence of CRY Patron and Hollywood actor Vincent Regan. I’d also like to thank our team of volunteers, as the event couldn’t have run without their dedicated efforts. For the full article on the day, turn to page 22. England Athletics raise awareness for CRY July 15 CRY always strives to screen as many young people as possible, and raising awareness in any manner necessary is essential to making that happen. CRY Representative Paul Daniels ensured the debate did not just revolve around elite athletes in sport. Paul stressed the need for there to be much greater awareness of the importance of cardiac screening for all young people, including those participating in grass roots sport as well. Prudential RideLondon-Surrey 46 and 100 July 30 This summer’s Prudential RideLondonSurrey was another stellar success. It was a great experience to support the riders on route again, cheering everyone on as they flew past at Newlands Corner in Guildford. It was particularly exciting to see 61 cyclists clad in their red and white jerseys to support CRY, with 15 riders taking part in the 46 mile event and 46 riders completing 100 miles. In total, it was the biggest team CRY has ever assembled for the event. You can read the full story on page 24. “Not at all. There had been a few heart things in my family, like down the generations. But, personally, I had never felt anything. I felt fit. I’d played four or five football games the month before. I’ve always played football and I’ve never ever felt any effects or anything wrong personally.” Professor Sharma called in to answer the question of whether or not grass roots athletes could be screened more in the UK in addition to professionals; similarly to Italy, where amateurs are routinely screened and research has shown an 89% reduction in sudden cardiac deaths. Professor Sharma said that we may be able to follow Italy’s gold standard in the future, and proceeded to explain that CRY screens 20,000 young people and trains six cardiologists each year, so that we have experts who can pick up on anomalies and also reduce the amount of false positives. New Facebook support resources August 14 We continued to expand our bereavement support programme at CRY this summer through the addition of new Facebook groups for those affected by sudden cardiac death. These groups will make it easier for people to share their experiences and connect with others, as private groups for bereaved mums, bereaved dads, bereaved siblings and bereaved partners, along with a more general group for ‘Family and Friends’, are now available. You can read more by turning to page 14. CRY Online As part of the CRY Online segment we will include Facebook posts from Chief Executive Dr Steven Cox (found at drstevenjcox), providing thoughtful responses to news and events from the last few months. Nevertheless, we still have some way to go before we can explain why this gender difference exists. Of course, sport in itself is another factor. Participating in competitive sport increases your risk significantly if you have specific cardiac conditions, which are the leading cause of death for athletes. This is why there is a growing consensus that all athletes should be routinely screened. However, it is always important when looking at risks to also look at the larger picture and competitive athletes make up a relatively small percentage of the population. So, although athletes are at greater risk, the vast majority of young sudden cardiac deaths are not in athletes. This is why CRY stresses we should be testing all young people. We have achieved so much through research in the past 25 years, but like all of medicine there will always be important questions that need answering. By getting to the bottom of why these differences in ethnicity and gender occur we will be making further strides towards understanding the causes of young sudden cardiac deaths and how to best prevent them. The cardiac risks for African football players July 14 Every time there is a collapse of an elite athlete it will draw in media attention to ask why this has happened. In a recent BBC article the question was asked, “Are African footballers more at risk?” It is true there are many factors which influence the risk of sudden cardiac death. Ethnicity is one of them, which is why it is a focus of the CRY research programme led by Professor Sanjay Sharma. We need to understand why this is the case. When African athletes are screened they are much more likely to have abnormalities on their ECG compared to other athletes. This will prompt further investigations before they can be reassured. But we also know that African athletes are more at risk of young sudden cardiac death (YSCD) compared to other athletes. The key challenge is to identify markers which will help to distinguish between those who are at greater or lesser risk. Similarly, we know that males are at much greater risk than females. By studying the way athletes adapt to exercise (both males and females) we are getting much better at understanding how the heart responds to exercise. CRY Online Whilst CRY might be considered a small organisation compared to some larger charities, it demonstrates what can be achieved when a sizeable proportion of the funds donated to the charity (approximately 25%) are allocated directly towards essential services for bereaved families. Often CRY supporters are more aware of the huge investment CRY makes into screening which is illustrated by the 23,500 young people we test each year. It is important to also stress how much we are doing to provide NHS services through our research grants. the referral has been made. We also try to see families on the same day, so they are together when they are tested. This is something which is very difficult for other clinics to emulate and only possible because of the way in which CRY works in partnership with St George’s and Professor Sharma’s team of specialists. For over a year, CRY has been funding a cardiologist at the centre to work with Professor Sharma and the clinical team to increase the number of families we can offer support to at this unique centre. CRY has recently started to fund an administrator to help with all the arrangements around booking families into the clinics to offer an easier, hassle-free service to the bereaved family. CRY is not only funding the staff to provide the specialist cardiology services, CRY is funding the cardiac machinery (ECG/ECHO/VO2 max exercise bike) required to conduct the tests as well. CRY also funds the CRY Centre for Cardiac Pathology. This centre consists of a team working under Professor Mary Sheppard, dedicated to identifying the cause of death of more than 200 young people every year. The vast majority of these tragedies will be because of SADS deaths, where no clear cause of death has been identified after the initial post mortem investigations. Now, a report is produced within 2 weeks, but before the centre was established it could take up to 2 years for families to find a cause of death. These are essential investigations to not only help understand what has caused the tragedy, but to provide vital information which informs how other family members are tested. This is a truly unique, comprehensive clinical service which would not be possible without CRY. Thousands of people are benefiting from this service every year, at probably the largest inherited cardiac conditions referral service in the world. CRY Online widespread naturally means there are more likely to be more deaths in football. There is also the issue that these events are often in the public eye with many spectators. In sports with less or no spectators there is a greater chance it will not be commented on in the media. Only a small percentage of the 12 young deaths every week are mentioned in the media. The fact that some people can be screened and still suffer a cardiac arrest is one of the major reasons why research is so important to help us identify ways to reduce this figure, to work towards a time where all people at risk are identified through screening. suffering from palpitations or exercise related chest pain which could be caused by a cardiac problem. Many of the people who are referred after the CRY screening programme could have been referred to a cardiologist by their GP instead of CRY. This is just one of the ways in which CRY supports the NHS in providing a specialist service where the initial tests (ECG and ECHO) have already been conducted. It is really important to stress that CRY do the follow up test for the vast majority of the false positives on the same day as the initial ECG test. This is something the NSC and critics of screening continue to ignore! Criticising CRY’s screening programme because of the false positive rates seen in other programmes, where untrained people have been reviewing the ECGs, is quite ridiculous. It is also important to state that whilst many people refer to cardiac screening as “controversial,” it is already routine across all sports for elite athletes to be screened. This can also be the case in some other professions, such as flight pilots for obvious reasons. I expect this is because the airline industry is far better at calculating risks than government policy advisors. However, what continues to be controversial is why the focus is so often on elite athletes and they are the only ones being routinely offered these potentially life-saving tests when the vast majority of the young people who die suddenly are not elite athletes. This is where CRY and the screening programme led by Professor Sharma has always taken the lead, making sure all young people can have the chance to be tested. The fact that any person between the age of 14-35 can go to testmyheart.org.uk and book an appointment to have an ECG and consultation with a specialist, either at our National Centre for Screening in London or at a local event, just shows what can be achieved when communities come together to support families after tragedies. I can only imagine what could be achieved if we received support from the NSC. But that is unlikely as it would appear the current priority is to keep trying to kick the ball into the long grass. As long as we keep finding the ball this is not something which is going away. We will need to do all we can to ensure the NSC, at the next screening review in 2018, discard their historical bias and subjective view of the evidence, and take a more pragmatic, objective stance. They need to acknowledge the progress that has been made in recent years, the role screening has in preventing young sudden cardiac deaths and the horrendous impact these tragedies have on thousands of people every year. At least the Office of National Statistics is now acknowledging the data the NSC is using is flawed. CRY Online Social media highlights Social media is a vital part of how CRY interacts with supporters and, first and foremost, raises awareness of young sudden cardiac death and what can be done to tackle it – from preventative measures (screening) to bereavement support for those affected by a tragedy. In this new CRY Online segment, we’ll look back at the four-month period the Update covers and include a small selection of social media highlights, such as Facebook posts that reached an amazing amount of people, or supporters who tweeted memorable photos at us. If you aren’t active on social media, this will offer you some insight into what we do online and what some of our supporters share. CRY’s most wide-reaching post on Facebook was a link to a Daily Mail story on Taylor Muir, who tragically died from the same cardiac condition that claimed the life of her older sister, Jodie, three years earlier. With 74 likes, 48 comments and 176 shares, Taylor’s story clearly resonated with many people. of people, spreading awareness of CRY and the event itself for the coming years. As you can see below, our social media accounts had an impressive reach between May and August, with interaction from the CRY Heart of London Bridges Walk and the Prudential RideLondon-Surrey events providing a boost in July. CRY recorded a total of 2.83 million ‘impressions’ (the number of times a tweet or post is displayed on someone’s personal feed) from Facebook and Twitter. As our followers and reach increase, so does awareness for CRY and young sudden cardiac death. Behind CRY’s Facebook page (over 25,100 likes), the CRY Twitter feed is our most-followed social media account at over 14,900 followers. An August 8 post, sharing the startling fact that 80% of young sudden cardiac deaths have no family history or symptoms, led the way for May to August with 93 retweets and 51 likes. It’s clear that such statistics shock a lot of people and rightfully spark a strong reaction, which is why we need to raise as much awareness as possible – so more people know. Dr Chris Miles, a Clinical Research Fellow at St George’s Hospital, London, shared a photo of some filming at the hospital on the importance of screening, whilst a couple of photos from some of our supporters stood out as well. Thanks to Lichfield Taekwondo and Laurie Ketley for their fundraising efforts and for sharing these great photos with us! easier. When it comes to looking into fundraising events, you can search with your postcode and use our ‘Map View’ feature on the ‘Upcoming CRY Events’ page to see exactly what’s going on in your local area. Another point of emphasis is security, something we hold in the highest regard at CRY. Our old server had a couple of weaknesses that needed addressing, so upgrading our web server has made all our information and data as secure as possible. Furthermore, our new server and format make it far easier for us to update the website going forward, both in terms of functional tweaks for user experience and security upgrades. All of this goes hand in hand with our ISO 27001 certification from the British Assessment Bureau. This business information security standard shows how CRY excels in this area. We do everything we can to ensure all data is secure (and ‘data security’ is also why we don’t retain any credit card information, for example), which is particularly relevant with new data protection regulations (GDPR – see flyer enclosed in this mailing) coming into force in May 2018. As you’d expect, this plethora of upgrades makes daily administrative tasks easier for our staff as well. The website is running better than ever and our heightened traffic and search engine ranking make that abundantly clear: our traffic doubled in the first month following the launch of the new site and has been at least 25% higher than before launch in each month since. While the number of visitors our website receives each month may sound somewhat insignificant in the grand scheme of CRY’s work, it is a valuable indicator that awareness is increasing. Peter McAvoy (Dundee and Perth), Lily Webster (Stowmarket), Ashley Goodwin (Gloucester), Marcus Armstrong and Jack Atkinson (Essex), Neil Ward (Derbyshire, Rotherham and Sheffield), Jack Boulton (Bristol), Jordan Grant (Lancashire), James Nicholas (Liverpool), Aaron Dixon (Cheshire and Northwich), Jordan Burndred (Staffordshire), Andrew Gard (Colchester), Jenny Bucknell (South Somerset), Richard Waight (South Yorkshire), Robert Heyes (Bolton), Freya Dalrymple (Orkney), Anthony Fitzgerald (London), Daniel Hughes (Derbyshire), Dean Mason (Carmarthenshire) and Andrew Macleod (Isle of Lewis). 100 young people were screened at 1 school screening, which was held at Wellington College, Crowthorne. At 7 further screenings 983 people were screened. These were held at Pioneer Working Men’s Club, Stoke on Trent; Sir Harry Smith Community College, Peterborough (funded by Defibrillators For All); Wrekin College, Wellington (funded by the Lady Forester Trust); Unilever UK Ltd, Leeds; Knutsford Methodist Church, Cheshire; Cambridge United Football Club, Cambridge; Edinburgh House, Bury (funded by the JD Foundation). What happens at a screening? The basic test is an electrocardiogram (ECG) which is a simple non-invasive and painless test that examines the electrical activity within the heart. Small stickers are placed at strategic points on the chest, arms and legs. Flexible leads (called electrodes) that extend from the ECG machine are then attached to these stickers. The electrical rhythm of the heart is recorded and printed out. This part of the process only takes two to three minutes to perform. The ECG printout is then reviewed by a doctor in conjunction with a personal and family history questionnaire. If a more detailed image is needed (about 5–10% of individuals), an echocardiogram can be taken – this is similar to the ultrasound scan that is used for a pregnant woman to check the health of her baby. Soundwaves echo against various parts of the heart and they are recorded on a screen. This provides a detailed picture of the heart’s structure and how well it is functioning. This takes about 30 minutes to perform. The screening programme is under the aegis of Professor Sanjay Sharma. When I started CRY in 1995, I increasingly became aware of how affected families were left floundering not only for an explanation as to what could possibly have caused their tragedy, but also some understanding as to how much it was happening, as well as the genetic implications. our doctors complete freedom to determine our next project and the research that needed to be undertaken. There have been a number of sponsorship approaches in the past – some subtle, others more blatant. Inevitably, these organisations have their own agenda, but CRY is a pioneering charity that is constantly able to challenge the restrictions, the inaccurate information promulgated, and the frustratingly inaccurate statistics produced by the government’s own Director of Screening. Not succumbing to the offers that were made to us enabled us to be unfettered by any obligation to others, and greatly facilitated the progress achieved in areas not previously tackled. It was crucial we could be free to address these. But we made one vital exception… From the very beginning, mothers that I spoke to were always grateful to get information, know that they were not alone, and that the statistic of being “1 in a million” that they were almost invariably given by their GP was a gross misrepresentation of how many young sudden cardiac deaths there were every year. But this had never been challenged, and so the convenient illusion that it was too rare to support – and that therefore nothing could be done – remained the status quo. More than anything I found that mums needed to talk to other mums to learn that it was possible to find a way to survive their terrible tragedy. I felt if we could train parents – affected mums and, if possible, dads too – to talk to other mums and dads, it could make a massive difference. So, I approached the Department of Health (DoH) with a proposal for offering individual telephone support to newly bereaved family members, by others that had received counselling training so they had the confidence to speak to a person they had never met, on the phone, but whose suffering they understood better than any other. The DoH was very supportive of this idea and the Secretary of State for Health, Yvette Cooper (left), announced their support at our 2002 Parliamentary Reception, giving us a 3-year grant of £100,000 to fund the training of our first group. Alison’s Column This seamlessly led to the development of CRY’s Bereavement Support Programme which has changed very little to this day, 22 years later. It paved the way for the formal instigation of CRY’s bereavement support service and we now train a new bereavement support group every 2 years, which also includes the training of siblings and partners. The ‘students’ who volunteer their time to train are committed to a 2-year residential course, for 6 weekends on alternate months each year. At the end of this time they achieve a British Association of Counselling Certification for Skills and Theory, which gives them the confidence that they are equipped to provide telephone counselling. This DoH grant undoubtedly liberated the extension of our support programme at a critical time when we were treading water as to how we could move forward our service provision for affected families. event provided a very welcome opportunity not only for those affected to meet each other, but also for them to have the chance to question the expert doctors and coroner that were speakers. As people started becoming familiar with websites, so had the opportunity for all the medical information to become instantly available. The next important step was when Steve joined our team in 2000. He immediately tackled the development of a CRY website which was particularly for families to quickly access details explaining all conditions that could result in young sudden cardiac death, illustrated by increasingly sophisticated diagrams. Alison’s Column deeply touching outpouring of emotion and trapped feelings that were expressed at this event was unforgettable, and not only inspired the development of individual events for mums, dads and partners as well, but lead to the Aspects of Grief booklets, of which our most recent, on A Friend’s Grief (below), launched this November. We are totally committed to maintaining and developing the many facets of our Bereavement Support Programme. It is such a vital part of CRY. This summer, our programme grew even further as we introduced new bereavement support groups on Facebook, catered specifically for different people based on their relation to the friend or family member they have lost. We now have groups for bereaved mums, dads, siblings, partners and friends, which we hope will provide comfort to those who want to connect and share with others who have experienced a similar loss. There are more details on the following page. Our message to all those affected by a young sudden cardiac death is that we cannot take your grieving from you. We cannot grieve for you. But we can do everything possible to reduce your suffering and reassure you that we will be there for the long haul. CRY’s new Facebook bereavement support resources Our bereavement support services are an integral part of CRY’s aim to provide help for those that have suffered the tragedy of a young sudden cardiac death. Talking to others who have been affected can greatly reduce the isolation many feel as they struggle to come to terms with their loss and we are pleased to now be able to offer a further option for families and friends. In August, we launched new Facebook groups where people (aged 18 and over) can connect to share their thoughts and feelings. It gives them an opportunity to discuss how they manage their grief with others who have been similarly affected. Talking to others who have experienced a similar loss and knowing that you’re not alone can help significantly and our hope is that CRY’s Facebook groups will provide great comfort. The CRY pathology laboratory is a national sudden death laboratory with an established national database. Both Eleni Konstantinou and Khari Edwards, our laboratory bioscientists, are very experienced in handling the cases referred to us. Both are now very skilled with the complex procedures we employ within the laboratory to examine the hearts sent to us from families who have been affected by a young sudden cardiac death. We had 91 cases from May to August 2017, which maintains our numbers compared to previous years. There is a very good turn around time for issuing a report to the coroner, with an average of 11 days in 2017. We also obtained consent to retain tissues for research in 50% of the cases referred to us, which is valuable for forming a biobank for research into the causes of sudden cardic death. We are also increasingly getting splenic tissue material (see bar graph to the right), which is valuable for doing genetic investigation of the sudden cardiac deaths (the molecular autopsy) which will be valuable for families in the future. research. He presented our research at several meetings. Professor Robert Anderson, a world renowned cardiac anatomist, is a member of our department studying congenital cardiac anomalies which can cause sudden cardiac death. Dr Angeliki Asamaki is doing basic research into pathophysiological mechanisms in arrhythmogenic cardiomyopathy and channelopathies such as Brugada syndrome. She is collaborating with us. cardiac infection, St Thomas’s Hospital’s Cardiac Pathology Group, London. sudden cardiac death, British Division of the International Academy of Pathology, Belfast. dissection, European Society of Cardiology, Barcelona. training day, Royal Society of Medicine, London. death, Argentinian Society of Cardiology, Rosario, Argentina. Course, St George’s University of London. anomalies that could appear on ECG readouts. Professor Sharma explained to Dr Cox that CRY’s research looked at these ‘nonspecific anomalies’ to further refine the Seattle Criteria: “Research conducted by several CRY Research Fellows between 2010 and 2016 identified that the vast majority of these anomalies were nonspecific. Through that came the Refined Criteria – also known as the CRYteria – which divided completely normal ECG features into the ‘green zone’, definitely abnormal features into the ‘red zone’ and created a brand new ‘amber zone’ for nonspecific anomalies. If you had two of these nonspecific anomalies you went into the ‘red zone’ and required further investigation; but if you had just one of these nonspecific anomalies and were asymptomatic and had no family history, then no further tests would be required.” This approach creates a greater level of specificity to determine which athletes need further testing, and has been so successful that the guidelines have been incorporated into the new international guidelines that were published in the European Heart Journal and the Journal of the American College of Cardiology this February. Professor Sharma added that there is work to do when it comes to analysing and reducing the higher probability of sudden cardiac death in black athletes – possibly due to black athletes often having thicker left ventricles, which can cause abnormal electrical disturbances that can lead to sudden death – but CRY’s research has been extremely valuable in furthering the battle against cardiac risk. ECG screening in young athletes Recent research from Professor Sharma and CRY Research Fellows Dr Harshil Dhutia and Dr Gherardo Finocchiaro, amongst others, helped reinforce the benefits of the Refined Criteria for analysing ECGs. Between 2011 and 2014, 4,925 previously unscreened athletes between 14 and 35 years of age were evaluated by cardiologists with a health questionnaire, physical examination and 12-lead ECG, interpreted using 2010 European Society of Cardiology (ESC) recommendations to begin with. Athletes with positive screenings had additional tests, whilst the costs of these secondary tests were calculated based on the 2014/2015 UK National Health Service tariffs. After all testing had been completed, 15 athletes were diagnosed with serious cardiac disease. In the process, the research found that the new Refined Criteria reduced the overall cost of screening from $110, according to the 2010 ESC criteria, to $87; with a major reduction from $35,993 per serious diagnosis to $28,510 as well. Cardiac Risk in the Young in the work it is doing to detect, prevent and protect young people dying needlessly from undiagnosed cardiac conditions.” Dr Steven Cox added: “This is CRY’s most important event of the year, which is dedicated to all the young people who have died suddenly from cardiac conditions. The hundreds of families and friends who are walking together through the streets of London are creating a huge amount of awareness of young sudden cardiac death and the work CRY is doing to stop these tragedies. “CRY families go to incredible lengths to reach out to the public and make sure everyone knows about screening, research and everything CRY is doing to prevent young sudden cardiac deaths – and it’s so powerful when members of the public stop to ask our walkers ‘what’s it all about?’ and ‘what can we do to help?’. I even heard of some walkers having £20 notes pressed into their hands on the train journey into London, by fellow passengers who had been so moved by their experience. “It is a unique opportunity for families to come together, to walk in memory of the person they loved, where they can feel safe in the knowledge they are not alone. I would like to thank everyone for joining us on July 9th and being part of this special day.” Since its inception, over £650,000 has been raised by this event – so let’s keep on stepping up to this annual challenge and walk together to stop young sudden cardiac death. This event wouldn’t have been such a success without the support of our dedicated volunteers. Thank you! Martin Appleby, Hanna Barclay, Jenny Bergman, James Boag, Jenny Boag, Lucy Bowyer, Mariana Chitic, Nia Crockford, Eloise Crowson, Kerry Ferne, Ann Fitzgerald, Barbara Holland, Jim Holland, Kelvin Holt, David Jewell, Vipul Kaila, Julie Lockton, Koula Louki, Tina MacMillan, Elizabeth Merritt, Helen Merritt, Wendy Moss, Tim Munyanyi, Harriet Pearce Willis, Jo Pickard, Janette Pollard, Lesley Pope, Roger Pope, Ramila Raval, Becci Robinson, Pete Robinson, Sue Robinson, Gemma Sanford, James Slade, Laurie Taylor, Linda Taylor, Cathy and Mia Thurlow, Karthi Velayutham, Marion Wilson, Matt Wilson, Julia Woodrow, Gerry Wright and Sarah Wright. We’d also like to thank various organisations and sponsors for their support, including: Eat Natural, Hippeas, UNUM, Chubb Insurance, ServiceMaster Clean, London Bridge City, JD’s Food Group, Just Smile, Richard Short. supporting the cyclists at Newlands Corner and CRY Founder Alison Cox MBE was also cheering along the route. While the event was under way, Jenny Boag, Lucy Bowyer, Cara MacMillan, Tina MacMillan, Ben Robinson, Sarah Wright and Rebecca Zouvani began to prepare for the cyclists’ return at the Green Park Hilton Hotel with refreshments, banners, balloons, displays of photos and literature, and massage couches. The cyclists started to arrive at the hotel, bikes in tow, from 11am onwards and were welcomed by CRY staff and volunteers. After having their photo taken and being handed a CRY medal, they were offered a massage, shower and some refreshments. The well-earned massages, kindly provided by volunteers Andy Clarke and Andy Tibbott, and the showers were greatly appreciated by the cyclists. Some of the cyclists who were unable to go to the Hilton Hotel went to meet CRY staff Nicola Taylor, Rosie Peploe and Hiddy Denizer at the designated “Meet and Greet” area in Green Park. As it was a very pleasant and warm afternoon, cyclists were able to enjoy sitting, relaxing and picnicking in the park with their family and friends, also chatting to other cyclists about their experience and planning their route home. It was wonderful to meet so many of the CRY team – 42 of the 61 cyclists came to meet us at Green Park and/or the Hilton Hotel and we are so grateful to all of our cyclists for taking on this challenge and choosing to do so for CRY. CRY have charity places for next year’s Prudential RideLondon-Surrey event. The ballot closes on Friday 5th January 2018 or when 80,000 entries have been received, whichever is sooner, and the event will take place on Sunday 29th July. Our Fundraisers Entries appear in the following section according to when CRY sends written receipt for funds raised. The following fundraising was receipted from May to August 2017. Unfortunately, due to having so many fundraisers to acknowledge and there being some overlap with memorial fund names, there can occasionally be mistakes. Heather and Robert Stanley sent in a donation of £690 raised through taking part in the Thames Path Challenge. We always strive to enforce new methods to eradicate such administrative errors, but we apologise if you have ever been affected in some way by this. We apologise for originally placing this donation next to a photo of James Patterson, the son of Peter Patterson, in Update 72. If you see a mistake in the Update or you have any questions, please do not hesitate to contact me at tom@c-r-y.org.uk. Below are some corrections from issue 72. Susan Abbott sent in £200 from donations received in lieu of floral tributes in memory of her father. A donation of £691.57 from Alison and Mark Cooper was included in Update 72 as a donation for their son, Andrew, but it was incorrectly placed by a photo of Sandra and Barrie Cooper’s son, Andrew. We apologise to both families for including this entry alongside the wrong photograph. In Update 72, it was incorrectly stated that Wendy Panton had sent in a total of £33,004.54, including £22,204.54 raised throughout 2016 on the Virgin Money Giving Someone Special page in memory of Taylor. This figure included the offline total of the page as well as what had been raised online, and the figure actually raised on the page in 2016 was £1,330, which was the donation that should have been included in Update 72. “The firm has already raised nearly £12,500 for CRY and boosted this figure with an amazing £1,965 to be added to The Charlotte Adams Memorial Fund to pay for cardiac screening. We apologise to the Panton family for this mistake and any confusion caused. Zoe Brewin took part in the Color Run Birmingham and sent in £130. Allan Lewis sent in £100 raised from the sale of food at a cricket match. Michael Ainsworth sent in £1,270 after taking part in the 2017 Brighton Marathon. Lianne White took part in the Color Run Brighton and sent in £240. from the sale of hand made cotton bags. Mr and Mrs Cowmeadow sent in £150 in repsect of a will service provided by WW & J McClure Solicitors. Mrs Baker sent in £100 raised by the Function Room Regulars coffee mornings at Middleton Towers. Michelle Barrick sent in £100 in appreciation of the screening of her two children. Don and Doug Webb sent in £200 raised by the Croydon Harriers to celebrate their 80th Birthday, in memory of Cecilia. Dawn Welch sent in £200 representing donations received in lieu of floral tributes in memory of her fatherin-law. Kathryn Hall took part in the Spartan Super Race and sent in £285. Glen Bicker sent in £460 raised from a charity cricket match. Susan Blair sent in £225. Chelmer Valley High School sent in £196 from their annual Teachers vs Sixth Formers Football Match. through her Virgin Money Giving page. • Wellsway School sent in £337.64 raised through various fundraising activities. • June Boulton sent in £661 raised from a coffee morning. Michelle Vaughan sent in £100. Mark’s sister-in-law organised a movie night and raised £1,500. Julie Wright sent in £100 raised in respect of the Isle of Wight Festival. £500, in respect of Amy Vincent’s skydive. Rosie Mawer took part in the RB Hull Marathon and sent in £270. Sam Middleton took part in the London to Brighton Cycle and sent in £340. Ashleigh Sharp sold her car and sent in £250. Sharon Wilson sent in £166.60 raised at a fundraising shopping event. • South Shropshire Motorcycle Club held social events and raffles and sent in £500. • Andrew Vass sent in £190 raised from a soul and motown night. Jan and Colin Juneman sent in £200 raised from a coffee morning held at Bruton Community Hall. Louise Barlow sent in £444 raised by Carl’s work colleagues at Complete Cover Group. • Michael Keane sent in £100 in appreciation of the screening his son received. • Hillary and Bill Durrant sent in £100 from the Whist players of Oake Rainbow Whist Drive. Sarah Jones at Ageas Insurance Ltd sent in £790.33 raised from a charity day. Barbara Weston sent in £153 representing donations received in lieu of floral tributes. raised from a collection held at a recent screening. •	Cardiff University Rowing Club sent in £844.47. “Dr Jenny Bucknell was a rower at Cardiff University Rowing Club, who sadly passed away on 5th April, 2011, at just 23. It later transpired that Jenny had the heart condition known as ARVC. “Due to the close, personal connection, the rowing club was very keen to raise money for CRY. We attempted to cycle the distance of the Tour de France in 7 days. hour event at the John Belfield salon. Marathon and sent in £778. • Nicola Burndred sent in £11,781.32 from a range of fundraising activites, including: £8,515.75 raised from bag packing at Marks & Spencer, £105 raised from the Congleton School Fair, £283 raised from a raffle at an Elvis event hosted by Jason Dale, £131.45 raised from collection pots in local shops, £712 raised from a dance group, £400 raised from a golf club night, £427.91 raised from other fundraising events, £609.71 raised in respect of sponsorship from a group who took part in the Muddy Cave Run and a further £596.50 from other donations. Doreen Burns sent in £1,400 raised from a football tournament, raffle, tombola and cake stall. The Wolstanton Residents Association held their Christmas in Wolstanton evening and raised £200. Lorraine Ayres took part in a Channel Swim and raised £1,168. Tyerman took part in the Coast to Coast Challenge and raised £2,329.50. Brian Hyde sent in £100. Sarah and Cemlyn took part in the Saundersfoot New Year’s Day Swim and raised £550. Ian Cadman sent in £418.10 raised from a sponsored beard shave by friend and neighbour Graham Turner. Linda Massey sent in £412 raised at a charity night. Richard Goodison took part in the Great Bristol Half Marathon and sent in £550. • Nicola Caldera sent in £100 donated at a recent screening. • Kate Earwicker took part in the Great South Run and sent in £743.53. The Coundon Social Club Fundraising Team held a music festival and sent in £1,707.50. • Marie Crocombe sent in £1,530 raised by Old Halesonians Rugby Football Club. • Adele Cane sent in £200. Alice and Trevor Wheaton sent in £525 raised at a festival. • Karen Campbell sent in £1,985.50 raised from ‘A Night at the Races’. • Zetland Ladies Club sent in £350. sent a matched giving donation of £250 in respect of Hannah Dunn’s abseil. £1,774 raised by Ealing Eagles Running Club. sponsorship for the 4 Mountain Challenge. in the 2017 Brighton Marathon. Staffordshire Police HQ sent in £385 raised through their Dress Down Fridays. Nicola Tait took part in the Great South Run and sent in £423.90. Yash Singh sent in £486.38 from the Cambridge University MedSoc Ball. Barrie Cooper sent in £310 representing donations received in lieu of floral tributes in memory of his father, Earnest, and his children, Ian and Andrew. Katie Bridges sent in £8,152.28 raised throughout 2016. Ann Armstrong sent in £200. Elaine McDermott sent in £216 in memory of her niece. • Stuart Lee took part in the Colman 4 Mountain Challenge and raised £786.21. • Jackie Cousins sent in £100 from her market stall sales. • Jackie Cousins sent in a further £232.60. Jenna Ceeley sent in £200. from a ‘Jae’s Jewels’ belly dancing evening. as part of a family fun day at The Printers Arms. •	Seamus Anderson sent in £100. Deb Crook sent in £1,100 and Betty Crook sent in £200. Ed and Mary Cresswell sent in £330 representing donations in lieu of gifts to celebrate their golden wedding anniversary, in memory of their daughter. raised at an annual golf day, organised by Graham Phillip. Luke Coulson raised £260 from taking part in the Three Peaks Challenge. sent in £2,000 raised through a Burns supper. •	Cobham Rugby FC sent in £1,500. Dave and Natalie Cutler raised £284.60 from the sale of cakes and biscuits. and raised £735, including a donation from Tudor Grange Academy. event held at the club. £5,080.52 from family and friends taking part in Walk for Freya, £146 from a screening event collection and further donations of £75. Bexley regarding sponsorship for the Why Not Run event. Sally Diack took part in the Hertfordshire Spring Triathlon and raised £120. Pat Dickinson sent in £110 raised by the Rossendale Male Voice Choir. Heather Darby sent in £808 from a charity golf day at Heysham Golf Club. • Jane Gleave sent in £100 raised in respect of a retirement gift from Weaver Vale staff. • Stephen Quick sent in £100. raised by The Strand, Longton. of £9,486, including: £1,800 raised from the ‘Fun, Fashion and Fizz with Royston Blythe and Nick Maenko’ event, £807 raised at a recent screening, £220 raised through a coffee morning with Ellesmere College Parents Society, £410 from a pamper event with OSKA, £500 from Crewe Alex Supporters Club, screening donations totalling £806 and £200 raised from a cake sale following a screening event at Wrekin College. screening held at The Grange School. Janet Doig took part in walking the 46 mile Pathfinder March and raised £835. Julie Donnelly sent in £116, including £100 from Bite Sandwich Bar and £16 from carrier bags by ‘RHEN FECWS’. Ann Fleming sent in £300. James Welch took part in Swim the Serpentine and raised a further £1,186.53, making a total of £1,386.53. Pat Drew took part in the SSE Airtricity Dublin Marathon and raised £1,331.06. The Godmanchester Scout Group organised the Richard Dyson Memorial Walk and raised £1,525. Robbie Winters sent in £100. John Elder sent in £100. Half Marathon and raised £390. “My husband, sister and I ran the Manchester 10K on Sunday 28th May. We completed the race in a time of 1 hour, 10 minutes and 50 seconds, which is not bad considering the giant costumes! We had a great time and raised around £500 for CRY in memory of Emily Rose Dunn.” Frankie Dunn. Jackie Edwards and Stuart Ranson raised a total of £2,050 when taking part in the 2017 Torbay Half Marathon. • Chris Embling sent in a total of £1,055, including: £100 from the sale of eggs, £317 raised at a garden party organised by Rory’s aunt, Helen Gaythorpe, £638 raised at Rory’s 3rd Party in the Park and £161 raised at the retirement party for Sue Wright. raised by staff and students. raised £208 from various fundraising activities. presentation evening at Ackworth Junior Football Club. • Olivia Chapple sent in £100 in recognition of Steph and Rupert Hunter’s Points of Light Award. • Charlie Corner took part in the Brooks Fleet Half Marathon and raised £420. raised through a pub games night. • Deborah Orr took part in the Bear Grylls Survival Race 5K and raised £300. • Seoras Orr took part in the Bear Grylls Survival Race 5K and raised £135. Gavin Evans took part in a family mountain walk and raised £625. • CRY Representative Jeff Markham collected a cheque for £800 on behalf of Cestreham Lodge No. 6674. • James Harris took part in the Rock and Roll Brooklyn Half Marathon and raised £143.59. sponsorship for the Tesco Supply Chain participating in a walkathon. 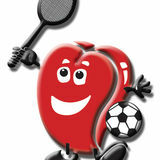 Kim Willetts sent in £436 raised at the Frinton Lawn Tennis Club. Samantha Hall completed the London to Southend-on-Sea Challenge and raised £921.50. Ballyclare Colts Football Club donated £250. in the 2017 Vitality London 10,000. Jackie German sent in £205, including: £105 from collection boxes at her brother’s shop and £100 from the sale of a large Lego model. Kay Leslie sent in £500 from Pink Home Loans. Kerry Grace took part in a memorial football match and raised £1,142.50. Abby Taylor took part in the TCS Amsterdam Marathon and raised £460. John Grant sent in £870 raised by the members of Preston & District Catenians. respect of a screening at Market Drayton. • Tom and Judy Green sent in £140 raised at a recent screening event. •	Philip Brindley sent in £446.87. • Anthony Reith took part in a Fundraising Day and raised £315. Joanna Halliwell sent in £500. • Edward Chantler took part in the Leeds Castle Aquathlon and raised £215. • Caroline Jerrim took part in the Southampton Half Marathon and raised £218.10. Jill Salt sent in £277.91 raised durning her year in office as Biddulph Town Mayor. • Gabby Broadhurst took part in the Bognor 10K and raised £2,062. Shelagh Green sent in £125. Mark Keeling sent in £250. Linda Pratley sent in £3,318.11 raised through her year as District Chair of Isle of Wight & Hampshire Inner Wheel. • Chris Hardy took part in the TH96 Fun Run and raised £195. • Mr and Mrs Whitbread sent in £200. £863.70 representing donations received in lieu of floral tributes in memory of her daughter. Amy Johnson took part in a Zumba event and raised £390.98. Tom Mitchell took part in the Three Peaks Challenge and raised £305. Anne Harrison took part in the Thames Path Challenge and raised £890. Harry Bright sent in £650 raised from a charity cricket match. Misti Selby sent in £115. • Marion Hayman sent in £200, with £100 from Trevor Eardley and £100 from Elly Fursland and Al Sullivan. • Marion Hayman sent in £170 raised at a screening event. £220 from Arthur Cartain, Royal Masonic Lodge; £50 from Kathy Pinon, KP School of Dance; £61 from J Wilkins through a sports/arts/games quiz sheet, £3,115 from the Garstang Patchwork Quilters Biennial Quilting Exhibition, £30 from Nicola Clark completing the Liverpool Marathon; £54.48 raised from a collection pot at The Fish & Chip Plaice, Garstang; £67.72 from Emma Wright’s 30th birthday party; £50 from Mr & Mrs Till’s golden wedding anniversary celebrations; £100 from Mr M Kelly; £185 from Quilter’s Quarters; £70 from J Proctor from a ride organised for Central Lancs VMCC; £275 from the sale of books in Landscape Surgery and £220 from the Catterall Gala. recent screening event in memory of Matthew and his granddaughter, Melissa. raised at recent communion services. Tony and Joan Hillier sent in £556.39 collected at a recent screening day. Daniel Murray took part in 24 challenges in 1 year and raised £1,051.84. Margaret Hinckley sent in £1,247.20. Millicent Farley took part in a skydive and raised £1,215. Jennifer Drury completed a skydive and raised £270. Gemma Holland sent in £240 raised through the Grace Bear Campaign at Spinney Motorhome. David Hughes sent in £1,680 representing donations received in lieu of floral tributes. Simon Thorn sent in a total of £736, including: £115 commemorating the wedding of Jonathan and Lizzie Iggulden in Winchester College, £440 in respect of the baptism of Theo Matthews and the marriage of Ed and Fenella Moores, and £181 at the marriage of Shohta and Jiyoung Alexandra Ueno. Jane Howard sent in £1,722 raised from an Easter car boot sale at Tesco, Thetford, and fundraising at B&Q, Gaywood. • Georgia Danso took part in the Great Scottish Run and raised £402. • Kairen Hoyland took part in the East Midlands 10K and raised £1,115. Sam Barnes raised a total of £1,225 when taking part in the 2017 Brighton Marathon. Mrs K Hood sent in £265 representing donations received in lieu of floral tributes. Wendy Irvine sent in £600 raised at a party to celebrate family birthdays, her wedding anniversary and the passing of Camilla’s 21st birthday. •	Tom Casson raised £375 from the Great North Swim. Julia Hughes sent in £100 on behalf of a friend. Matthew Miller took part in the Chester Marathon and raised £295. Mr G James sent in £110 received in lieu of floral tributes in memory of his mother. Martyn Williams at Saundersfoot NYDS Ltd sent in £410 raised through sponsorship and from a bucket collection at a New Year’s Day swim. • Derbyshire County Football Association sent in £250. Garry McGrotty sent in £13,965 from the CP Hire Golf Day. and raised a total of £670. • Shirley Neal sent in £507.37. • Alysa Freeman sent in £1,152.43. Our Fundraisers Memorial Golf Tournament took place on Saturday 10th September, 2016, at Bulbury Woods Golf Club in Dorset and raised an incredible £1,480.36. “There were 12 players this year and the day was filled with enjoyment and laughs! Many of the players have supported the event since the first tournament in 1997. The weather began damp and chilly, but sunshine soon brightened the day. The Deepings School sent in £458.70 raised from various fundraising activities. Mrs S Jevon sent in £130 representing donations in lieu of floral tributes in memory of her husband. Keith Bolton sent in a donation of £425 raised from The Bromley & Croydon Christian Football League’s Knockout Cup Competitions. Our Fundraisers “Bridie McCann celebrated her 80th Birthday in style, surrounded by her loving family and friends. Sadly, one special person was missing, Darren Joliny, her grandson who passed away suddenly playing football in 2012 at the age of 21. Claire James raised a total of £265 when taking part in the 2017 Vitality London 10,000. Laurie Ketley took part in the Wolf Run and raised £1,630. Danielle McKay sent in a donation of £1,885 raised from a family fun day. “As a family, we have done various events and fundraisers for CRY since this affected us, including charity football matches and 5K runs. Therefore, it was only natural for Bridie to request donations instead of gifts. Foundation Scotland sent in a match fund donation of £250 in respect of Iain Brown taking part in the Stirling Scottish Marathon. Keith Weston sent in a total of £830 raised from giving various talks. Karen Southwood at Berkhamsted Motorcycle & Car Club Ltd sent in £1,000 raised at a charity trial. Pauline Inwood sent in £150 raised from an open garden event. John and Lesley Konderak raised £176.28 from collection boxes at Knighton Conservative Club. Rothmans Chartered Accountants sent in a further £3,200 bequested by the late Patricia Angela Laird. • Allen Talbot took part in the Thames Path Challenge and raised £1,301.37. family, in honour of Janet Baldam on her birthday. • Jenny Perry sent in £500. •	Burston Garden Centre sent in £255. • Sean Maloney sent in £160 raised through going ‘Dry for CRY’. •	Jennifer Woods raised £525 from a sponsored walk. Michelle Hankinson, Victoria, Shona and their dance friends gave a performance and raised £2,516.55 towards a screening in Northumberland. • Sarah Bromley took part in the Stratford Half Marathon and raised £470. • Ian Leyland sent in £661.08 donated by a local craft club. • Nichola Butler at Co-op Funeral Care sent in £275 raised from a remembrance festive tree and raffle. • John Blackburn sent in £355 raised in respect of sponsorship for walking the Old Man of Coniston in the Lake District. Pearl Langford sent in £121.75 representing donations received in lieu of floral tributes in memory of her son. £375.33 raised in respect of Maria Leyland’s bag packing event. “On Friday 16th June, the Tean Community Singers held a June in Bloom concert at The Venue, Tean, in memory of Joe. They sang an array of songs accompanied by The Outlaws. “The night was a huge success and a total of £500 was raised. This will be funding the running of another screening day. “Thank you to Viv Laws for organising the event!” Charlotte Leyland. Valerie Bugg sent in £200 raised from a tuck shop. Tommy King sent in £250 on behalf on BACB. Karen O’Connor raised £127 from the Birmingham 10K. Samanda Greer took part in the Lisbon 10K and raised £155. Brenda Luckett sent in £1,566.75. Lorna Anderson sent in £182.77 representing donations received in lieu of floral tributes in memory of her father. £100 from a talk at the ‘Black Cairdeas’ group, £24 from the Mad Hatters office sweep, £50 from Caroline Ross and £10 from Do, £150 from the sale of handmade country shelves made by Don Wilson, £150 raised from a collection held at a presentation ceremony regarding the Master and Brethren of the Stornoway Masonic Lodge Fortrose 108 and a donation of £50 from Duncan and Isobel Macleod. from the sale of calendars in the Western Isles. at Hummersknott School and raised £500. The Sellens family sent in £800 raised from a concert by Faversham Mission Brass. at Hummersknott School and raised a further £1,835.91. •	Barnard Castle School sent in £4,010. Vicky and Tania sent in £127.27 raised from collections held in Tesco Express, Baildon. Julia Hughes sent in £1,420 representing donations received in lieu of floral tributes in memory of her mother. Laura Main Dorothy Sim took part in the Baker Hughes 10K and raised £250. Phil Hughes took part in the Dubai Marathon and Abu Dhabi Triathlon and raised £504.32. “We thought this would be a good event to take part in as it would have been Balinder’s 21st birthday on the actual day, which was Saturday 13th May. This was a good way of celebrating and remembering her on her 21st birthday. We needed to do something as I couldn’t just do nothing, even though it is tough to get through the day without her. All our family and friends supported us this day by either taking part in the event or sponsoring us. My employers kindly matched my donations that I collected from my work colleagues. Julie Hatton took part in a charity latin dance matinee and raised £513. Jeff Markham sent in £377.10 raised by Steven and Dee at a flyball event. “We thoroughly enjoyed the day which was also full of emotions, both happy and sad. The last part of the walk was the hardest as we had to go up a very steep hill, but it was worth it and we made it to the finishing line. This was a 20K walk and we did it in 5 hours. I hope we made Balinder proud. “We hope this money will help the charity and all the people affected by this silent, deadly killer and prevent any other deaths.” Narinder Mann. including: £400 from Wabtec Faiveley UK, £500 from The Balancing Borselino Brothers, £55 from a Slimming World group, £47.88 from a David Higham shop and a further £250 from collection boxes at Edge Hill University. Drew Stephens sent in £281.80 in lieu of gifts to celebrate his 30th Birthday. Hartpury College football students raised £531. Darren Ward took part in the London to Paris Cycle and raised £1,285. sponsorship for completing the Bournemouth Pier to Pier Swim. Edward Cooper took part in various fundraising activities and raised £496. Carol Stenning held a tombola at her work and raised £125. from the oil rig Transocean Leader. Union of Catholic Mothers sent in £100 raised from a raffle and in respect of a talk given by Joan Mercer. David Goodfellow sent in £177.50 raised through an annual hockey tournament involving members from Uddingston Hockey Club and Glasgow University students. “I took my children to be screened in Hemel Hempstead last week and was moved to tears by the story of a young man called Richard Merriman, who has sadly passed away. His mother was there and had written a moving article about her terrible experience. Joan McGlynn sent in £220.35 representing donations received in lieu of floral tributes in memory of her husband. and donations received at the JFK School screening event. Laura Miles sent in donations totalling £335.09 received at a recent screening. • Helen, Claire and Victoria took part in the Lidl BananaMan Triathlon and raised £100. • Andrew and Rachel Mitchell sent in £1,711.57 raised from the sales of the RosieFeast cook book, produced in memory of Rosie. •	Joseph Brewer sent in £250. East) Ltd has sent a donation of £100 on behalf of Bridlington Town Football Club. ‘Night at the Races’ themed evening. donated by Mags Shore in lieu of gifts for her 50th birthday celebrations, £834 raised from an annual Mossy Fishing Match, £277.91 raised from the Mayor’s Ball, £1,223 from the Biddulph Arms, £110 from BHMC and £50 from Dolven Funeral Services. Melanie Barlow sent in £420 raised from the George Morgan Cup squash event. Mr and Mrs Lewis sent in £100 in memory of their great granddaughter. Elaine Roe donated a hand painted picture for a raffle and raised £377. Mairead Fagan sent in £156 raised by colleagues at SCD. Aberfeldy and District Inner Wheel sent in £175. • Martin Spare sent in £100 on behalf of James’s former colleagues at SRM Industries. Michael Moss sent in £440 representing donations received in lieu of floral tributes in memory of his wife. • John Hooley took part in the Ramathon and raised £315. • Peter Mousikou took part in the Birmingham Half Marathon and raised £590. Our Fundraisers £1,089.16 from a general collection by Bethany’s parents, £110.12 donated in memory of Bethany’s great grandmother, £447 from Clowne Gala, £100 from Whirlowdale Park Sheffield Coffee Group, £1,200 from Brigg House Bay Golfers and £7,673.13 from Beth’s Hoe Down Showdown Charity Day. Maya Patel took part in the Great Birmingham Run and raised £470. • Sarah Guise took part in the Macclesfield Half Marathon and raised £195. • Alison Howells sent in £1,828 raised from a fashion show at Malbank High School. Mr W B Palmer sent in £655 representing donations received in lieu of floral tributes in memory of his wife. Marks & Spencer Prescott Cables sent a matched giving donation of £1,500. Wendy Howells sent £758.15 raised from a ladies festival. Derek and Pat Northedge sent in £100 in memory of Richard’s birthday. Sarah Holmes raised £5,000 from various fundraising activities throughout 2016. Karen Padmore took part in the Yorkshire Three Peaks Challenge and raised £258.50. Barton W.I. sent in £819 raised from a coffee morning. Yvonne Barber at Trafalgar School sent in £102 raised from the sale of cherries from a tree planted in Ben’s memory. Alex Thompson took part in the Cardiff Half Marathon and raised £760. Kathryn Paterson sent in £102.31 received at a recent screening event. fundraising events and raised £2,050. • Mark Sewell took part in the Bolton and Manchester 10K and raised £1,195. including: £50 donated by Peter in respect of proceeds from a lottery and premium bonds prize, a further £900 donation and £50 from the ladies group of The Most Holy Redeemer Catholic Church. •	Kelvin Wilson sent in £3,000 raised from a golf day. Phil Ball sent in £1,178 raised from the Michael Patterson Memorial Competition, held by Lichfield Tae Kwon-Do. Constance McGrath took part in the Belfast City Half Marathon and raised £367. • Nick Bond at Space Interior Systems Ltd sent in £750. • Lynette Blacklock sent in £100. Jacqueline Simpson raised a total of £150 when taking part in the 2015 Brighton Marathon. Jenny Cox raised a total of £1,322.42 when taking part in the 2017 Brighton Marathon. Upminster Circle of the Catenian Association’s June meeting. Eamon Hartnett took part in the Ealing Half Marathon and raised £620. • Andrew Moore took part in the TCS Amsterdam Marathon and raised £600. Deborah Dixon collected a donation of £1,000 on behalf of Equilibrium Asset Management LLP. • Beth Phillips sent in £132.50 raised in respect of a run/walk/cycle around Draycote Water, including a £100 donation from Bishop’s Tachbrook Horticultural society. Lilli and Grace took part in the London to Amsterdam Cycle and raised £2,658.96. completing a Premier League cycle challenge. Liam Guy took part in the Bath Half Marathon and raised £140. Geoff Gillan sent in £366 raised through a JustGiving memorial page. Joe Konderla took part in the Cardiff Half Marathon and raised £190. John Aitken completed the Greater Haywards Heath Bike Ride and raised £1,679. Mr and Mrs Pottle sent in £400 raised by the staff at a local Primark store and an additional personal donation of £100 in memory of their son. Luke and Alex took part in the Isle of Wight Challenge and raised £1,585. taking part in the Brighton Marathon. the Collingwood College Charity Fashion Show. •	Peggy Jameson sent in £150. • Diane Tolley sent in £667.15 raised from a pub quiz held at the Horn and Trumpet pub. • HUGS Dudley donated £450 towards a screening event in Bewdley. 10-year-old daughter and other members of a group called 7events, climbed Mount Snowdon to raise money for several charities and donated £1,500 to CRY. taking part in a trek up Ben Nevis. •	Ecclesiastical Insurance sent in £125. • Sandown Bay Academy sent in £1,422.24. Graham Hunter sent in £434 raised through a raffle and speaker’s fee at the Ladies Luncheon Club in Eastleigh. Rotherham in respect of her coast to coast walk. •	Anya Lotay sent in £1,168. participation in the Langport Ladies Triathlon. Jill Johnson sent in £345 raised at a concert given by the Cornwall Symphony Chorus. John and Jo Perkins sent in £200 to mark their wedding on 28th July. taking part in the 2017 Brighton Marathon. Deborah Speed took part in the Sunderland Big Walk and raised £760. received at a recent screening. • Anthony Rowbottom took part in the London to Berlin Cycle and raised £6,078.27. Steven and Alisha Rutter sent in £7,000 in memory of their son, Kieran, and to enable Dianne and Martin Parr to hold a screening event in memory of their son, Christopher. Gemma Bamford sent in £150 raised through fundraising for St George’s Day. Alan Sands sent in £200 raised in lieu of gifts to celebrate his 80th birthday. Chris Perrin took part in a 24-hour football match and raised £3,575. Valerie Scarfe sent in £118 raised at the Jubilee Hall, Loddon. Loraine Whatmore sent in £187 raised through the Whitland Week Dog Show and a donation by Allen and Partners Veterinary Surgery. Suzanne McClure sent in £992 raised through various fundraising activities in 2016 at Lloyds Banking Group. Elizabeth and Liberty took part in the 2017 Isle of Wight Challenge and raised £4,499.05. Gardening World Limited sent in £100. Lincoln 10K and raised £361.50. • Lindsey Collier took part in the Tough Mudder North West and raised £560. • Paul Jackson sent in £100 in lieu of floral tributes from Trojans U16s. Lucy Sievert sent in £562.35 representing donations received in lieu of floral tributes in memory of her husband. Mike and Caroline Smith sent in £2,226.56 representing donations received in lieu of floral tributes in memory of their son. Karen Armstrong cycled from Radisson Blu Hotel in Durham to York and raised £205. Ann Fisher sent in £190. Deborah and Stephen sent in £245 raised from a ‘Lads v Dads’ football match. Nicholas Wibberley sent in £409.09 raised from a collection pot. raised through CRY being chosen as their Charity of the Year. giving donation of £1,045 from the Wrekin Housing Trust, raised from a zipline challenge. Pamela Stapleton sent in £400 representing donations received in lieu of floral tributes in memory of her husband. Gill Kennerley sent in donations totalling £140. Barbara Stevens sent in £249 representing donations received in lieu of floral tributes in memory of her husband. Patricia Strange sent in £100 raised in respect of Ian’s birthday. Katie Swaysland raised a total of £850 when taking part in the 2017 Brighton Marathon. Graeme Morris organised a 7-a-side football tournament and raised £175. Beryl Whittingham sent in £100 on behalf of Inner Wheel of Harwich & Dovercourt. the Wirral Half Marathon and raised £150. from an annual football tournament. Ystrad Mynach Lodge, £69.37 from Asda, Blackwood, £150 from Asda, Brynmawr, £63.40 from Betty’s Boutique, Blackwood, £62.60 from Joy Greenaway, £170 from Samantha Link, £100 from Betty and Rowland Thomas and £20 from Vicky Styles. football match beween Hayden and Wilmington Grammar School For Boys, Jack’s local football team and school, respectively, and raised £3,603.78. Georgina Jackson sent in £230 representing donations received in lieu of floral tributes in memory of her partner. Jenny Thomas sent in £219 raised through a basketball tournament. Memorial Page and sent in £315. Sean Aldridge sent in £320 raised from a fundraising day. donation of £500 in respect of Mel Miller’s charity pamper day. donation of £500 in respect of Fatima Dadabhai’s pamper day. donation of £500 in respect of Emily Read’s pamper day. donation of £500 in respect of Corrine Kelly’s pamper day. including: £1,000 from The Tigers football team in Essex, £200 from the Redbridge Rotary Club and £250 from Gants Hill Townswomen’s Guild. John Turnball sent in £500. John Turnball sent in £100. Mrs D Buglass sent in £380 representing donations received in lieu of floral tributes in memory of her mother. Fiona Waddell sent in donations totalling £10,135, including: £10,000 from Swim Trafford and £135 collected at a screening. days, including 16 ‘ever-presents’. Another nine have only missed one year. 63% of this year’s entry played last time. 15% of this year were Doncaster GC members and 23% played for the first time in 2017. “We have now held seven Charity Golf Days at Doncaster GC with the latest Richard Waight Memorial Golf Day held on Friday, May 19, 2017, raising over £10,000 for the first time. Absolutely magnificent! 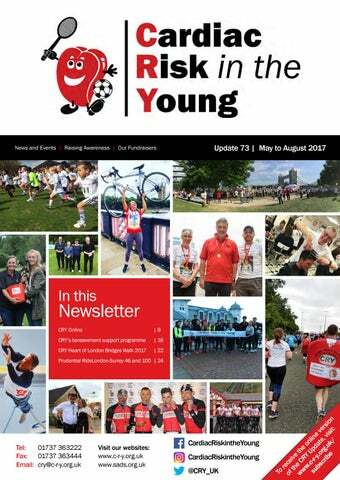 It means that the total monies raised since 2011 now exceeds £53,000, with most given to Cardiac Risk in the Young (CRY) and SADS UK. “The Hole in One competition raised £500 and there was nearly £1,000 from the raffle. In the auction, a Chester Races experience, later doubled up, made nearly £900, whilst ‘four-balls’ vouchers from 14 different golf clubs made £1,089. “This year’s total includes donations from St James Palace, Polypipe and the Worshipful Company of Founders, as well as many smaller amounts. Monies raised will be used to continue our defibrillators programme with SADS UK and for our new work with CRY, holding a screening day in Doncaster for the first time. A massive thank you to all of you who played, helped out or just supported us on yet another great day for all those involved. “This year we again had 100 players in 25 teams, teeing off from midday. Participants came from across the UK, including Newcastle, Sunderland, Cambridge and London. We welcomed Tim Noddings’ team from Oakdale GC at Harrogate for the first time, whilst Dave McCullough again flew in from Northern Ireland for the event. “The competition was won by The Long & the Short of It (above), led by Mike Stanley and Simon Smales, with United We Stand second and ProAktive third. • Ovo Energy Ltd sent in £1,000. • Joseph Key donated £272.42. donations received in lieu of floral tributes in memory of their son. Kathryn Walker sent in £380 raised from a Crown Green Bowling Tournament. £500 from Coach & Horses Pub, £250 from Amber Valley Rotary Club, £100 from Alfreton Inner Wheel Club, £35 from Heage WI, £20 from Holmesfield WI, £931.50 raised from a screening at Gosforth and Wickersley, £463 in donations, £270 from donations received at the Swanwick screening, £204 from donations received at the Abbeydale screening, £116 from Church Wilne Rotary Club in respect of a talk by Elaine, £1,000 from the Daniel Martin Music Festival at Coal Aston Village Hall, £65 from Draycott & Wilne in respect of a talk by Elaine, and £4,043.83 from an afternoon tea organised by Kate Cannon. in respect of Kate Cannon’s afternoon tea held in Ranmoor. a non-uniform day held at David Nieper Academy. Bernard Kemp sent in £185 representing donations received in lieu of floral tributes in memory of his daughter. • Derek Gammage sent in £200. • Bobby Sellen sent in £460 raised through a JustGiving page. John Watley took part in the Watley Run and raised £145. Keith Walker sent in £1,300 raised through his ‘Marching to 50’ event. Lee Watts sent in £460 representing donations received in lieu of floral tributes in memory of his father. Folkestone Invicta FC sent in £250. Ian Harvey sent in a total of £19,750, including: £8,000 from a Barclaycard Charity Golf Day held at Brocket Hall Golf Club and £11,750 raised through Stowmarket Golf Club choosing CRY as their Charity of the Year. Susan Williams sent in £150 raised from a memorial game at Ashford Town Football Club. Francesca Clements took part in the Great South Run and raised £360.04. Henry Land took part in the Great South Run and raised £311.26. Kate Hopkins sent in £1,200 raised from the Cuckoo Fest. Marie Hill sent in £193.26 representing donations received in lieu of floral tributes in memory of her son. Ben Brook sent in £180 raised from the Putney Cricket Club’s 6-a-side Tournament. • Harriet Levitt organised a charity raffle in her beauty salon, Idyllic Beauty and Day Spa, in Cranleigh and raised £155. • Jessica Spokes sent in £320 raised from a 1Rebel fitness class. •	Jamie Dunnett sent in £100. by Mark Summerfields’ mother, Mark, Dawn and two brothers. •	Gemma Nash sent in £200. • Dominic Cooper took part in the Berlin Marathon and raised £479.75. • Andrew Greene sent in £290 raised at a charity football match. Theresa Ives sent in £393.81 raised from baking, crafting and holding a raffle. Jason Mitchell raised a total of £400 when taking part in the 2017 Brighton Marathon. through a skydive, including £280 from John Gamble and £250 from Round Table 54, Kings Lynn. Ellen Montague sent in £278.62 raised from an awards ceremony held at Sheffield Hallam University: “The Platform Project Awards are an annual awards ceremony held by Level 6 Events Management students from Sheffield Hallam University during the Live Event Management module, in order to celebrate the success of the whole year group’s efforts in the planning and delivering of charity events. “In 2017, Eventscape hosted the event (made up of students Ellie Montague, Gwen Rees, Jasmin Myton and Lucy Parkinson), rebranding it as ‘Portal’ with the tagline ‘Think Beyond Your Wildest Imagination’, and designing a night to not only include the awards ceremony, but also to act as a graduation celebration. “The event was a night to remember, with guests being treated to a delicious 2 course meal, along with entertainment including the awards ceremony, a live band, a raffle and a popcorn and candy floss machine! Marathon and raised a total of £1,116.70. Shirley Wort sent in £3,500 raised from a charity golf day organised by The Frome Lions Club. Dani West sent in £455 raised from holding a memorial walk around Allestree, followed by a meal and a balloon release to commemorate Sam’s 25th birthday. raised through a sponsored walk, mufti days, busking and a cake sale. through Twickenham School’s 5-a-side Football Tournament. donations from parents, including a large donation from the family of Ahson Akhtar. Foundation in respect of a sponsored walk by William Whitaker. InSite Technical’s participation in the Pembrokeshire Coast Triathlon. Pauline Wrycraft sent in £808.70 representing donations received in lieu of floral tributes in memory of her daughter. Ladies at a coffee morning. Mahrie Prince sent in £475 raised from a fundraising sale in her village. Coast Sportive and raised £823.93. “My 8-year-old daughter, Amy, took part in the annual swimathon on Saturday 8th April, to raise money for our chosen charity – CRY. Amy swum 2.5k (100 lengths) unaided, continuously, and took 80 minutes to complete it!” Phillie Charlesworth. held at Romney Sands Holiday Park. •	Sue Fisher sent in £200. £126.40 raised from a charity day. in various charity events and raised £200. £4,439.50 raised at the British Mortgage Awards 2017.
the sale of his artwork at a private viewing. £250. completing 60km in 6 weeks. General Fundraising event at Tír Na nÓg Gaelic Football Club. •	KP Snacks held a silent auction and raised £537.11. •	The Lions Club of Basildon & Wickford sent in £100. School of Health Sciences in Nottingham. and raised £619. sent in £505.30 raised through various fundraising activities. daughter, Amber, taking part in a Tough Mudder. from Year 14 Formal Committee. cycle and raised a further £216. of an Inch Art Group exhibition. Fun Run and raised £287. •	Stephen Locke sent in £272.19. Monster Race and raised £450. their christmas ball raffle. raised during their 2016 season. CRY was chosen as the charity to support by club captain Mr E Harnett. Lawn Tennis Club as part of the Prince Player Day. down day at Premier Group. Brighton Challenge and raised £1,110.25. Sables and raised £1,763.24. Charity of the Year in 2016 and donated £1,695.66. a donation of £197.20 raised at their summer productions. •	Ipsos MORI UK Ltd sent in £150. L63 St Mary’s Lodge from the Relief Chest Scheme. activities to celebrate Kaplan 2016 and raised £737.50. raised at their sports day. his year as captain at Moseley Golf Club. members of Portstewart Football Club. held a cake and jewellery sale and raised £400. in the London Spring 10K. monthly coffee mornings at Crick United Reformed Church. Bike Ride and raised £1,885. •	Tess Musician donated £100. sent in £1,688.69 raised through their Newington Rocks event. Union sent in £2,000 raised from the RAG Committee’s charity of the year fundraising. Monitor Social Committee’s year of fundraising throughout 2016. Raid Challenge and raised £800. National Citizen Service in Rotherham. Spring Wolf Run and raised £239. £677.85 raised through a non uniform day. raised through fundraising by the pupils of Sutherland House. a sponsored head shave by teacher Mr O’Donovan. Bridges Trek and raised £973. Manchester 10K and raised £755. “From the 14th-30th April we covered 920 miles by bike. “I say we, but on day 3, when covering 213 miles, I started to get stabbing pains in both knees. They got so painful that I had to stop the ride, and with a trip to A&E I ended up on crutches and rest, so we had to call for backup, aka ‘the dads’, to bring a camper van to our location for me to then support my husband on the ride. “It has been an amazing adventure. We have seen some amazing places, scenery and wildlife, along with days that have been long and tough and others that have been mind blowing! “Whilst on the tour we met two other inspirational parties, including a group of five who were also cycling from Lands End to John O’Groats for charity. We first met at the start line, a week later we bumped into them for coffee and cake, and amazingly we saw them again at the finish line! “The other party were an older couple who were walking over 1,000 miles (from John O’Groats to Lands End) for charity, doing so self supported after taking three months out of their time to cover the distance. “In the process we have worn our CRY charity t-shirts and rattled our charity pot which has been attached to the bike, whilst posting updates to our JustGiving page. We have been shown kindness, generosity and massive support from family, friends and strangers who all made the adventure even more memorable. “We are hoping that by raising money for CRY we have helped raise awareness of the charity and what it can do to help those affected by unknown heart conditions or prompt people to go for screening. “Having a younger brother who has an underlying heart condition and now has a pace maker, we are fully aware of the difference screening and research can make. “I am massively proud and honoured to have been with my husband whilst he made it to the finish line at John O’Groats and that all his hard work, energy and determination has raised as much money as it has. collected in the Oundle School Chapel. from the weekly Chapel collections at Derry House, Worksop College. Councillors Ward Community Funding Scheme. 1-million metre row and raised £1,252.38. raised through this year’s Sevenoaks Charity Cup Competition. Raising Awareness in the Media Report counters do a fantastic job keeping track of everyone in the water, otherwise I might have been in the lake for a few more laps than intended. “I exited the water in a time of 2 hours 41 minutes, which was inside my target of 3 hours – this was a nice boost going into transition as it gave me the opportunity to push on with the early laps on the bike. “After a quick shower and a bowl of porridge, I was out onto the bike for the longest stage of the race: 20 laps of an 11.6 mile circuit. I settled into a strong early rhythm and got to know the course well – I wanted to identify the parts of the course where I could find free speed to help save the legs for the night. “The target heading into the bike stage was to be at half way by the time we transitioned into the dark; I was slightly off the pace and had to stop one lap earlier than planned for lights and high-vis! This wasn’t the news that I wanted after nearly 7 hours in the saddle. “Fortunately, my support team were one step ahead; the suggestion from the pits was to head straight back out and get to the 12 lap mark and ‘break the back of the cycle stage’ before taking a shower and food stop. General Fundraising the move. I’ll be honest and say I wasn’t fussed about reaching this target, because I knew I was in good shape to finish inside my original target time and wouldn’t have to lap in the dark! However, this idea sparked something off in my head, and, although not fully willing, I did push on and continued to hit the 15-minute lap times. “Making the turn onto the last lap was meant to be a momentous occasion – this is what you’ve worked for over the last 34 hours and the countless hours sat on the turbo trainer or in the gym in the lead up to the race! As I had on the bike and the swim, I wanted to enjoy the last lap and was already deep in thought as to what food I would have when over the line. “The last few steps of the race were spent celebrating with the few who had been there to watch the race unfold, including my amazing support team, the race organisers and marshalls. “As always, there is a massive sense of relief crossing the line, knowing that the hard work was enough to get you through and that you’ve joined an exclusive group of people. Residents Association held at the Bellringer Public House. Race 10K and raised £460. raised through competitions, open days, entry fees, away days and raffles. from a talk he gave at Surbiton High School. £250 in respect of Astrid Stealey’s participation in the Ealing Marathon. Durham to York and raised £265. recent birthday party. colleagues at Together Financial Services Limited. the 65th birthday of her husband, Ian. Fundraising Events 2018 Please contact the fundraising team on 01737 363222 or email events@c-r-y.org.uk if you are interested in any of the following events. For more information and a full list of events visit www.c-r-y.org.uk/category/upcomingcryevents All participants in mass-participation events who contact the CRY fundraising team (whether they have their own place or a CRY charity place) will receive a welcome pack containing sponsor forms, information, helpful tips and either a T-shirt or vest (depending on the type of event). The Spartan Race series integrates obstacles with natural terrain to create the best racing experience possible. There are 3 levels of adult races, as well as a range just for children. runners to join CRY’s team. The Edinburgh Marathon Festival includes a marathon (voted the fastest marathon in the UK by Runner’s World in 2008), a half marathon, a 10K and a 5K. the breathtaking Wye Valley, on the England and Wales border, and areas of outstanding natural beauty for the entire 100km journey. The Great North Run is the world’s leading half marathon. The 13.1-mile course runs from Newcastle upon Tyne to South Shields and attracts many worldclass athletes. This event is a brand new, closed road, central London run. It is the only half marathon to go through both the City of London and City of Westminster. Starting and finishing in St. James’s Park, runners will enjoy the sights of the city and pass some of London’s most iconic landmarks, including Nelson’s Column, St Paul’s Cathedral and Big Ben. CRY has places for this event and welcomes runners with their own place. To give you an idea of how fast this course is, at the recent ASICS Greater Manchester Marathon on April 2nd 2017, 86% of the top 50 recorded a PB or SB and 50% of the top 250 got a PB. This race is your best chance to get a PB. Join CRY for the 12th annual CRY Heart of London Bridges Walk. This event offers the opportunity to show support for CRY, remember young people, raise funds and help raise awareness of young sudden cardiac death (the confirmed date will be announced shortly). This stunning central London half marathon takes in the capital’s worldfamous landmarks on closed roads, and four of London’s eight Royal Parks – Hyde Park, The Green Park, St James’s Park and Kensington Gardens. With a stunning backdrop in one of the country’s most vibrant cities, the race gets bigger and better every year. CRY welcomes runners with their own place. This cycle was introduced after the success of the race event for the London Olympics. The event comprises a 100mile or a 46-mile cycle route on closed roads through the capital into Surrey’s countryside. If you would like to take part in either cycle, CRY has places and also welcomes any own place cyclists. The 5-mile route starts and ends at Durham Amateur Rowing Club and passes along the River Wear and through the beautiful city of Durham. The walk is suitable for all. The Cardiff University/Cardiff Half Marathon has grown into the UK’s second-largest half marathon. This is a fun and simple way for our supporters to get involved in Raising Awareness Week. Get your family, friends, colleagues and children involved in baking, eating and raising money for CRY. And compete to see who will create this year’s showstopper! The involvement of our fundraisers has been crucial to helping CRY raise awareness about YSCD. Whether you are carrying out your own activity or taking part in an organised event such as the London Marathon or the Great North Run, remember that CRY will always support your effort with posters, sponsor forms and other resources. If you would like to join our fundraisers, CRY also offers a range of fundraising challenge events, including parachute jumps, white water rafting and a selection of trekking and cycling events. For further information please call the CRY office on 01737 363222 or visit www.c-r-y.org.uk/donations All your help is greatly appreciated. Visit www.c-r-y.org.uk/charityfundraising-challenge-events for more information or contact the CRY office for a fundraising ideas pack. There are many different ways you can donate to CRY. Online and cheque donations are the most popular methods, and we also accept credit/debit card donations over the phone. 1. CRY Update magazine Postal mailing of CRY’s regular (three issues a year) news and events magazine. Includes reports from the CRY CEO and Founder; supporters’ fundraising; articles about screening, myheart, research, pathology, raising awareness initiatives, massparticipation fundraising events; and much more. Our Mission When Cardiac Risk in the Young (CRY) was founded in 1995 it was the first organisation to draw attention to the range of conditions that can cause young sudden cardiac death (YSCD). Every week in the UK at least 12 apparently fit and healthy young people die of undiagnosed heart conditions. These conditions include hypertrophic cardiomyopathy (HCM) and other diseases of the heart muscle, as well as electrical heart disorders which can lead to sudden arrhythmic death syndrome (SADS). CRY aims to reduce the frequency of YSCD through raising awareness amongst the general public and medical community, providing expert cardiac pathology, improving early diagnosis through screening, supporting young people diagnosed and funding research. 1 in 300 young people CRY tests will have a potentially lifethreatening heart condition. In 80% of cases of young sudden cardiac death there are no prior symptoms of a heart defect. CRY believes cardiac screening should be available to all young people aged between 14 and 35. CRY publishes a range of medical information written by leading cardiologists that is easy to understand and made available to the public free of charge. CRY also works to guide and support families and close friends affected by YSCD. We provide information to explain what the coroner does, bereavement support, help with NHS referrals and advice on the procedures that usually follow a YSCD. We are very proud that over 84p in every £1 we spend goes into supporting CRY’s key aims.